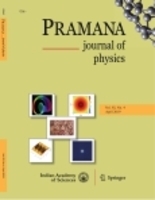 Extensive theoretical results for the temperature dependence of the static and dynamical structure of undercooled alkali metals using Na and Cs as examples are presented. The static structural properties are obtained from the HMSA integral equations using pair potentials derived from an accurate non-local pscudopotential. The dynamical properties obtained from viscoelastic theory are compared with experiments and the results of memory function formalism. The study indicates that collective density excitations are more dominant in the undercooled region than at their melting points, and that the dynamical properties of Na and Cs exhibit subtle differences in their gross features. The structures and autocorrelation functions of Al and Mg in the liquid state are investigated through the pair distribution functiong(r), the diffusion coefficients as well as the shear viscosity via the Green-Kubo and Einstein relations. From the structure and the Enskog relation we determined the frequency of collisions of atoms in the first shell ofg(r) in the systems. We also discovered that the packing fraction of Lennard-Jones liquids should be approximately half the reduced density value. This approximation is accurate to within 99%. The temperature dependence of the pair distribution function and the atomic mean square displacement are investigated by performing simulations at various experimental temperatures and corresponding densities. The structures of the systems are affected by temperature via movements of atoms in the first minimum ofg(r). The Lennard-Jones model shows that density dependence of the shear viscosity is in agreement with what is expected of simple liquids in the range of investigated temperatures and densities. In the gas limit, the Stoke-Einstein relationDη =KBT/2πσ is grossly overestimated by Lennard-Jones model. This could not be attributed to deficiencies in the model, as other investigators using first principle method could not obtain the gas limit of the Stoke-Einstein relation. We investigate the effects of temperature and density on the single-particle and many-particle coefficients as well as on the structures of homogenous systems in which the particles are assumed to interact via a continuous soft sphere potential in the microcanonical ensemble. The pair distribution function and therefore the structures of the systems studied are affected by temperature close to and above the melting point through migrations of atoms from the first shell in the pair distribution function. The dynamics of atomic pairs in the short-time regime in liquid aluminium may be said to be governed by the potential of mean force, which depends on the static structure of liquid Al at all investigated temperatures. A polynomial dependence ofD on density and temperature was observed in contradiction to Arrhenius law. The shear viscosities of the systems studied are largely nonlinear. It was observed that the soft sphere potential used in our calculations overestimates the Stoke-Einstein relation. The static structure factors of liquid alkali metals have been modelled at temperatures close to their melting points and a few higher temperatures using the reverse Monte Carlo (RMC) method. The positions of 5000 atoms in a box, with full periodicity, were altered until the experimental diffraction data of the structure factor agrees with the associated model structure factor within the errors. The model generated is then analysed. Detailed classical molecular dynamics simulation of transport coefficients and collision frequencies at high densities in rare gases are presented in this paper with a view to investigate the likely cause of discrepancy between theory and experiments. The results, when compared with experiments, showed an underestimation of the viscosity calculated through the Green–Kubo formalism, but the results are in agreement with some other calculations performed by other groups. The origin of the underestimation was considered in the present work. Analyses of the transport coefficients showed a very high collision frequency which suggested that an atom might spend much less time in the neighbourhood of the fields of force of another atom. The distribution of atoms in the systems adjusts itself to a nearly Maxwellian type that resulted in a locally and temporarily slowly varying temperature. We showed that during collision, the time spent by an atom in the fields of force of other atoms is so small compared with its relaxation time, leading to a possible reduction in local velocity autocorrelation between atoms. We calculated the adhesion energy, the surface traction and the surface energy of liquid xenon using molecular dynamics (MD) simulation. The value of the adhesion energy for liquid xenon at a reduced density of 0.630 was found to be 0.591 J/m2 and the surface traction has a peak at $z = 3.32 Å$. It was observed that the attraction of the molecules in the liquid surface which produces a resistance to penetration decreases with temperature. This may be attributed to the greater average separation of molecules at higher temperature.